Wipro BPS Walkin Drive in Chennai | On 13th and 14th July 2017. Wipro is conducting walkins for the Multiple positions. Who had completed BA, BBA, BBM, B.Com, MBA can attend for the latest vacancies in Chennai. Wipro has clearly mentioned that they have current 50 openings in Investment Banking. Interested people can attend for these vacancies on given walkin dates. Applicants who will attend after the walkin dates they will not be Interviewed. And candidates must carry Mandatory documents while going to attend for Wipro Careers. Sometimes security people will not be allowed into the company without showing original ID proofs. Applicants who had completed their graduation in BA, BBA, BBM, B.Com, MBA can grab this opportunity and get ready to fill 50 positions in the Wipro Job Openings. Nowadays getting a job in Wipro is a prestigious thing. Candidates who are having Good Communication and Analytical Skills along with Basic computer knowledge are preferred first. Interested aspirants can check the Wipro Placement Papers and Wipro Syllabus before attending the drive. Wipro has stated that contenders should have to work in Night Shifts. Please refer the JD and then Walkin for an interview, if the JD is irrelevant to your profile kindly ignore it. Candidates can also check for other IT Jobs on our site All India Jobs for more updated and fresh Official Information. Salary INR 2,00,000 – 2,75,000 P.A. Strictly willing to work in Shifts. 5 Days work in a week. Exposure towards all investment banking products. Seed program (We offer a variety of paid education programs, Learn and Earn options). Wipro BPS Walkin Drive in Chennai | On 13th May 2017. Candidates who are interested in working with Wipro, this is the better opportunity to get placed in Wipro Job openings in Chennai. 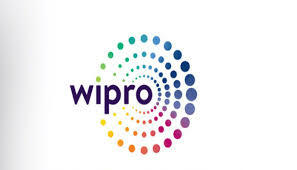 Wipro has released a notification for Associate, Senior Associate – (NonTechnical) positions. Wipro is inviting all the applications from B.Com, BBM, BBA, M.Com, MBA candidates to fill 30 Vacancies. Aspirants can get hurry to attend for Wipro Job vacancies. Aspirants should have Knowledge in Accounts Payable, Accounts Receivable in Investment Banking World. It will be an advantage for the applicants. Interested job seekers can check the details which are provided in this post and can attend for Wipro Careers 2017. Contenders are suggested to check the Wipro Interview Questions and Wipro Test Pattern. Here we have provided the Wipro Mock Test also, interested people can download those papers for better preparation. Hope this information is good enough for the applicants. Candidates who are interested and eligible can apply for Latest Walkin and for further details you can visit the official website. Knowledge in Accounts Payable, Accounts Receivable in Investment Banking World would be added advantage. Should possess excellent MS Excel skills. Aspirants who had completed B.Com, BBM, BBA, M.Com, MBA – Finance can only apply. Wipro Limited (Western India Palm Refined Oils Limited or more recently, Western India Products Limited) is an Indian Information Technology Services corporation headquartered in Bangalore, India. The company was incorporated on 29 December 1945. Wipro Ltd is a global information technology, consulting and outsourcing company with 170,000+ workforce serving clients in 175+ cities across 6 continents. The company posted revenues of $7.7 Billion for the financial year ended Mar 31, 2016. It services spanning financial services, healthcare services, transportation, retail, manufacturing, technology, energy and utilities, telecom and media. Aspirants can attend for Wipro Recruitment 2017 which will be held in Chennai on 13th May 2017 for Associate, Senior Associate – (NonTechnical) positions. It is highly Appreciable if candidates check Official notification before attending the drive. We have provided the Recruitment details like Walkin Date, Time and Venue in the below section. Anna Salai, Guindy, Chennai 600032. Note: Please carry a copy of this posting for security clearance. Hope this information is good enough for job seekers. Interested aspirants can attend Wipro Recruitment 2017. For to know other job openings in Chennai, contenders can visit All India Jobs for more updates.